Cursed weed or New Zealand’s own Christmas tree? Manuka, along with its indigenous cousin, kanuka, have long been referred to as “scrub” by New Zealanders. “Scrub” is a term which infers something diminutive, including small trees or shrubs, and has a nuance of inferiority. 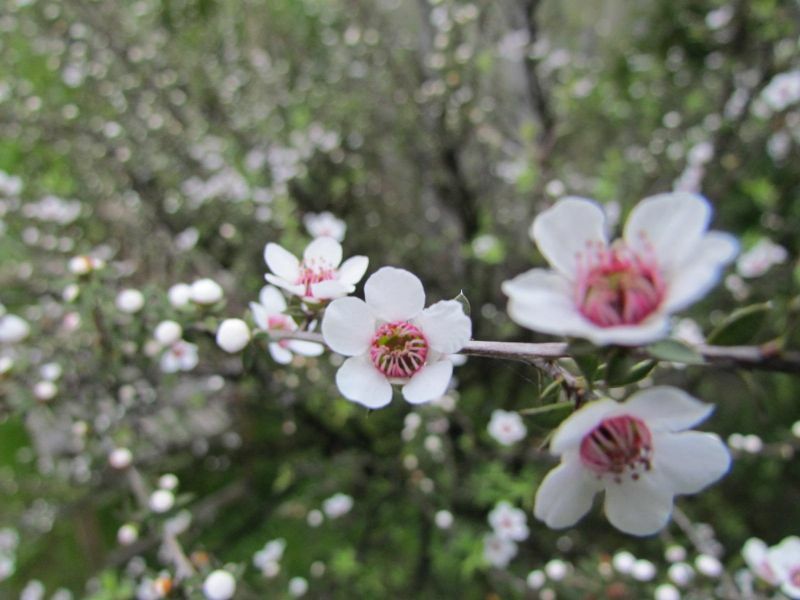 As one of the first species to recolonise an area of cleared bush, manuka has long been viewed with loathing by farmers – its vigour and ability to quickly regenerate made it a cursed “weed”. But, in our back garden, with its fine needle-like leaves, and covered in a shower of delicate, five-petaled flowers and pearl-like buds, it is reminiscent of snow on a small pine tree. In my mind, it is more than worthy of being New Zealand’s answer to the Christmas tree. The dramatic tussock-lands of Lindis Pass are one the iconic landscapes of the South Island, and much admired by the traveler on their way from Canterbury to Queenstown or beyond. So iconic has this landscape become, it is hard to believe that while the tussock vegetation is “indigenous”, it is not “natural”. Rather, it is a human-induced landscape. commentarydryland zones, Environmental History, farming, fire-induced landscape, human-induced landscape, iconic landscape, John Buchanan, kanuka, Landcare Research, Lindis Pass, manuka, Maori impact on the environment, New Zealand, Otago, palynology, rabbits, Rainer Kant, sheep, Susan Walker, tussock, what is natural?